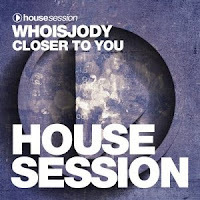 Time for a bit of house music on my blog today, although the only reason is because I struggled to find a music video for any songs that were released this week. It seems this is the only one I could find, and it's pretty unimaginative. Watch a guy with painted eyelids dance away to this house song titled "Closer To You" by WHOISJODY. WHOISJODY, real name Jody Koenders, has been known by various different names in the past including Jody Meyer and Jody San. He is from the Netherlands and has released various different songs, but he has described this project as Super House. This song has already been released on Beatport and will follow onto iTunes in 2017. I can't deny that the song is full of beats that I'd love to rave to. A perfect tune for the clubs. The music video is a performance visual of a guy dancing. That is basically it. There's nothing else to it. It's not engaging whatsoever, although it is kind of shocking when he removes his sunglasses. You have to give yourself some time to adjust to the weirdness of it all and to understand what is happening. There is a guy who is dancing with his eyes closed. Only, painted on his eyelids are eyes. It reminds me of a scene out of Tom & Jerry, where they don't want to be seen to be asleep. At the end, he opens his eyes and confuses us even more. I don't understand what is going on. Yet, I can't deny how catchy this song is.